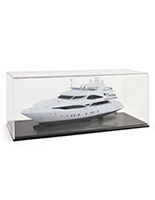 Injection Molded Polystyrene Offers Clear Visibility And Light Weight. 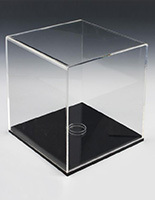 Economical Showcase Cover Lifts Off Easily To Expose Contents. 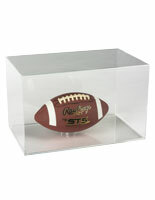 Durable Plastic And MDF Construction Protect Contents From Dust Or Damage. 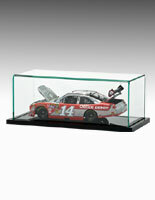 This collectible helmet display case an economical alternative to glass collectible holders. 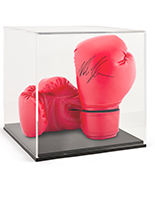 Each inexpensive polystyrene cover is injection molded and lifts easily off the black MDF base to protect memorabilia displays. 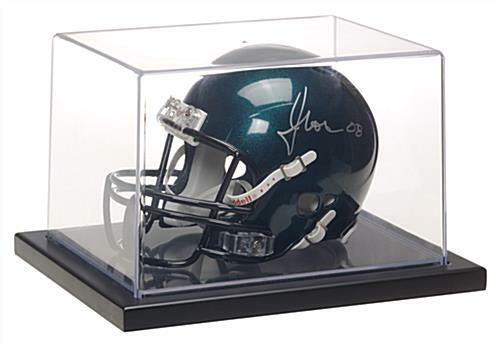 This conveniently sized helmet display case is sized to be a perfect holder for NFL mini helmets or other treasures. 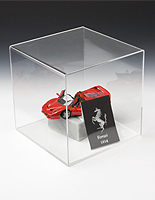 The lift-off top looks like clear acrylic or glass but is much thinner and lighter. 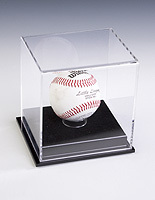 This type of case is ideal for mini-helmets, baseballs, hockey pucks, models, dolls, coins, legos, beanie babies or other treasured memorabilia or keepsakes. 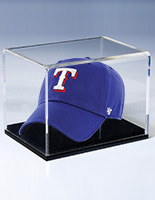 Each rectangular holder is a great way to showcase and protect a single item or small collection from a sports team or theme group.